Border Patrol agent Vincent Pirro walked near where the border wall ends that separates Tijuana from San Diego. WASHINGTON — Congressional negotiators neared a deal Friday that would offer President Trump far less than the $5.7 billion he’s sought for walls along the US-Mexico border, as lawmakers worked to prevent another government shutdown next week. Democrats disputed that figure, saying it was too high and that negotiations were ongoing. ‘‘We will not agree to $2 billion in funding for barriers,’’ said Evan Hollander, spokesman for House Appropriations Chairwoman Nita Lowey, Democrat of New York, who is leading the bipartisan talks. 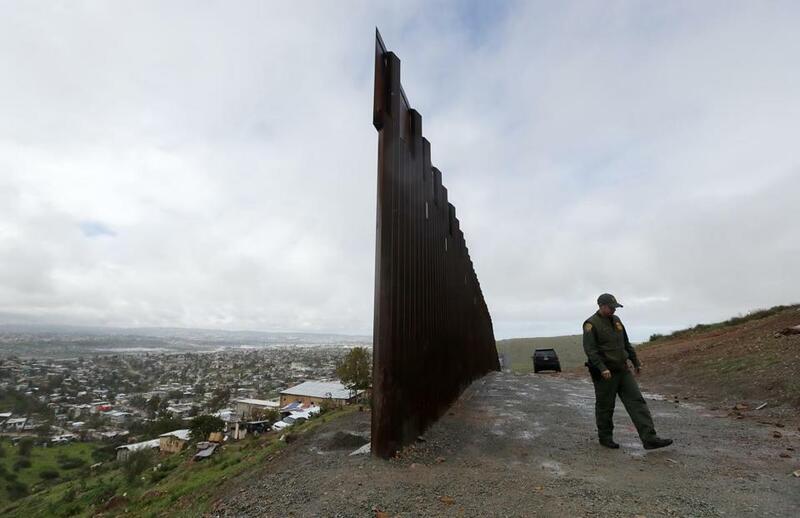 It was unclear exactly what types of barriers or fencing would be funded, and whether Trump would conclude the structures meet his definition of a wall. There are already more than 600 miles of barriers of various kinds along the US-Mexico border, about half of which are designed to stop vehicles from crossing while the other miles are aimed at blocking pedestrians as well. People briefed on the White House’s strategy said that the Trump administration had hoped to change the rhetoric during the debate and stop calling any barrier a ‘‘wall,’’ in the hopes that it would make it easier for Democrats to accept more funding. ‘‘It’s just a difference of opinion on how to get there but we all agree on securing the border and a majority of us, I think 100 percent, we do not want to have another government shutdown and so we’re continuing to work in good faith with one anther,’’ said Representative Steven Palazzo, Republican of Mississippi, another member of the committee. That three-week period is up on Feb. 15.